For a first time visitor to a Church it can be a strange, sometimes daunting experience. 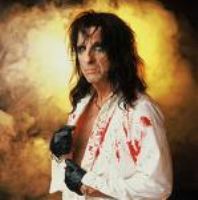 The heavy metal rock star Alice Cooper (now a Christian) said "Drinking beer is easy. Trashing your hotel room is easy. But being a Christian, that's a tough call. That's real rebellion!" A seeker is someone who is looking for meaning in their life. You may find yourself drawn to a Church for the first time. You may be thinking that there is something there - but you don't quite know what yet. Well, we hope that you find Emmanuel seeker-friendly and welcoming - we know that you'll find a better way to live life. If you are attending Emmanuel as a guest at a wedding, funeral or baptism then welcome. Church may be a strange experience. Just relax and enjoy it. As you arrive at Emmanuel the main entrance to the Church is up the stairs or ramp - this takes you to the main foyer and into the sanctuary (the main church room). Provided it's decent, whatever you feel comfortable in. Some people feel the need to wear their best suit and tie; others feel more comfortable in a pair of denims. In the hot weather you may want to wear shorts! If you are attending a wedding or funeral then your host may have an expectation of a dress code. Emmanuel people are all different - we don't mind what you wear. - other than the obvious places like at the piano, on the stage or at the sound desk. If you are unfamiliar with Emmanuel, it may be good to sit near the back then you can observe what's happening and you'll feel more comfortable. A good place for seekers is as near to the back door as you can find then you can make a quick exit if Emmanuel people are too scary. Someone may approach you and say "Hello". Some people like this, others just want to be left alone - if we get it wrong for you personally, just politely let us know. God is perfect - we are not! are conducted by Ministers, Local Preachers and Worship Leaders. Call everyone by their first name if you know it. Refer to the Minister as "minister" if you feel uncomfortable on first name terms. Don't call the Minister "father". At Emmanuel that title is reserved for God or, if you bring him along, your own father. 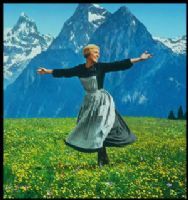 Do not call a female minister "Reverend Mother" as this tends to imply that you have watched "The Sound of Music" too often. Call her "minister" if you don't know her first name. Stand Up - Sit Down? Generally you can do what you want. It is traditional to stand (as you are able) to sing, as it makes it easier to breathe properly and to sit down at other times. When the collection is taken people may stand as it is brought to the front - don't know why - it's tradition! It is OK to laugh, smile and otherwise be happy at Emmanuel. YES - you too ! bread and a tiny glass of wine. At Emmanuel the wine is NON-alcohol wine. There is great significance in this "ceremony" that is covered elsewhere on this website, basically it reminds us of Jesus - it's a great blessing to receive it. Everyone is invited to have communion at Emmanuel - you don't need to be a Methodist, be baptised, confirmed or anything else. This means that YOU MAY take communion at Emmanuel; it's not compulsary and no one will think bad of you if you give it a miss. BUT if you want to take bread and wine at Emmanuel, GO FOR IT! It's a blessing you won't regret. The wine is non-alcoholic and the bread is ordinary white bread. If food intolerance is preventing you from having communion then contact us before the service. We'll check out the ingredients and try to obtain suitable goods. Every few months or so the leader will invite everyone to shake hands or say "Hello" to the people around them. You may feel awkward in a room of strangers but relax and just say "Hello". HEY! make some new friends. We hope not too many but there may be some parts of the service where everyone else seems to know what is happening except you. They may be saying a prayer or something. If you don't know it - just stay cool, don't panic - if you don't know the words, just listen. If you don't know the song or the tune, just stand or sit quietly; join in when you can. It is perfectly OK to leave the service part way through. The toilets are clearly signposted and when you've got to go - you've got to go - so go! If you fancy a glass of water - just go into the kitchen and get one! Children under 3 can go in the crèche. Adults can accompany them or leave them in the hands of the crèche leaders. There is usually a collection taken at each worship service. First of all - we are not after your money. As a first time visitor, feel free not to contribute to the collection or contribute if you wish - it is entirely up to you. Just pass the collection plate on. People sometimes ask why we take a collection and how much they should contribute. We need to take a collection as this is our main source of income; in the UK the Church gets no government or council money. We can't tell you how much to give - that is entirely up to you, but we urge you to give what you feel happy to give - no more, no less. God loves a cheerful giver! On average it costs about £6 - £8 per week per Church member to operate Emmanuel - extra money allows us to donate to good causes. The money pays for the Ministers, for resources and the upkeep of the buildings. In case you are wondering, the church building cost well in excess of £1,400,000 (that's 1.4 million pounds). It was built by donations from the members - the Emmanuel people. Many Emmanuel members pay their weekly collection by standing order or by internet banking. After the service you can enjoy a cup of tea of coffee and biscuits. Just follow the crowd. There is a collection bowl for money to pay for refreshments; there is no compulsion to contribute - just enjoy a cuppa! 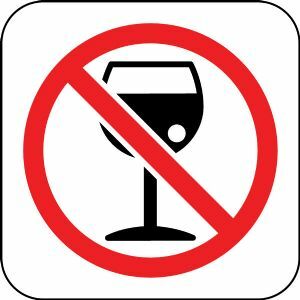 Emmanuel Church does not allow any alcoholic drinks onto the premises. This applies to private functions, meetings - everything. Do not bring any alcoholic drinks to Emmanuel Church. Does this mean that we are killjoys? Well if the ONLY way a person can have fun is when it is "drug" induced by alcohol then perhaps it suggests a problem with enjoying life! There is a better way to enjoy life at Emmanuel. YES WE KNOW that Jesus turned water into wine when he was at a wedding in the town of Cana. When Jesus comes again (as he promises he will in the Bible) he may choose to do it again. He's the boss, it's his call not yours or mine. The bible promotes only sensible drinking and advises us not to get drunk. Some Emmanuel people are "teetotal" and others enjoy sensible drinking at home or out socially. For some people alcohol has caused them much unhappiness and illness in the past and we all know of the problems in society caused by drinking. We are not judging anyone, it's just that by keeping alcoholic drink away from Emmanuel Church, it's a safe place for everyone. If you want someone to contact you after the service to follow up on your first visit, then complete a Yellow Card or talk to a Steward. Yellow cards are found in the seats and in the foyer. There is a post box in the foyer. A website is not really the place to try to explain this aspect of Church but because we want you to be comfortable, we cover it here. Occasionally, at some services you may experience people speaking in tongues. At Emmanuel morning worship services it is very rare that people speak in tongues. Your first experience of it may sound like people are babbling in a strange manner but believers may explain it as a speaking in a Godly language under the influence of the Holy Spirit - not in a human language. If someone is speaking in tongues very openly this should be accompanied by someone interpreting into English. Occasionally people pray quietly in tongues as a way of lifting themselves to God; this will not usually have interpretation. The subject is covered on the Alpha Course or one of the other beginners courses at Emmanuel. If you are interested just ask the Minister or Preacher. For God's sake SMILE . .
Oh Yes - and come again.